Please complete the form below and your enquiry will be sent directly to Villiersdorp Art and Wine via email. Your enquiry has been sent to Villiersdorp Art and Wine. 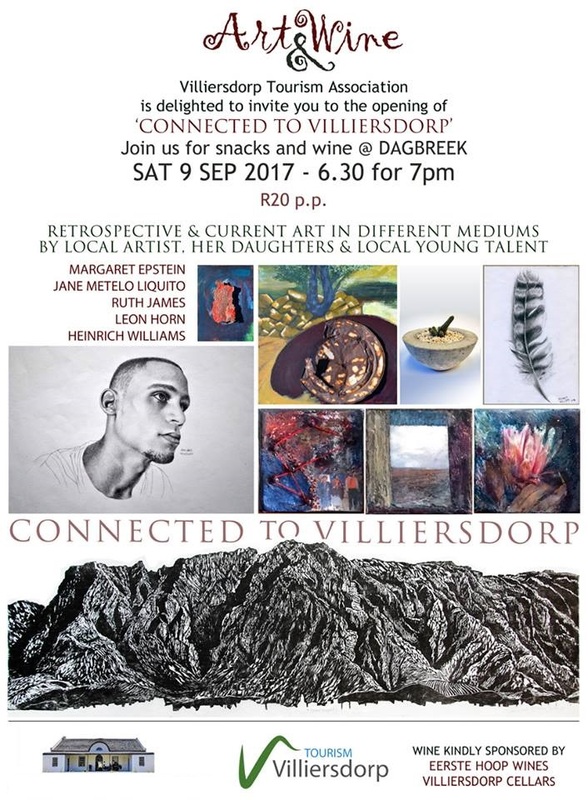 Villiersdorp Tourism Association is delighted to invite you to the opening of 'CONNECTED TO VILLIERSDORP'. Join us for snacks and wine @ Dagbreek - R20 per person.